Stock market analyst Jatinder Sharma has maintained 'buy' rating on Cipla Limited stock to achieve a target of Rs 360. The analyst said that the stock can be purchased with a stop loss of Rs 341. The stock of the company, on January 10, closed at Rs 347.80 on the Bombay Stock Exchange (BSE). Current EPS & P/E ratio stood at 12.33 and 28.09 respectively. PINC Result Review – Cipla Ltd.
Strong volume growth, pressure on profitability Cipla’s net sales grew 15% in Q2FY11 on robust performance of domestic and export formulations. Higher input prices, coupled with a jump in staff and other expenditure, translated into 2.2% rise in EBITDA (ex tech fees and forex). Commissioning of the Indore SEZ resulted in increase in depreciation cost. Adjusted PAT (ex forex net of tax) declined 10% which is below our expectation. Pharmaceutical company, Cipla has said that it is going to buy 25 per cent stake in one of the South African firm named Cipla Medpro. The final board approval is going to be given in the board meeting that is to take place in October. Cipla Medpro is the third largest drug company in South Africa and Cipla has not got any stake in the company. Cipla exports around 35 per cent of its total production and most of these deal with Aida. Around 15 per cent of this is sent to Africa. Drug major Cipla has announced its first quarter financial results for the current fiscal year. The company has registered a marginal hike in the PAT figure in the reviewed quarter. Cipla has posted a profit-after-tax of Rs 257.42 crore for the quarter that ended in 30th June, 2010. For the similar quarter in the previous year, the company had registered a profit-after-tax of Rs 241.71 crore. Stock market analyst Sanjeev Agarwal of Dynamix Research is of the view that investors can buy Cipla Ltd stock with short term target of Rs 332. According to analyst, the stock can be purchased at Rs 312 with stop loss of Rs 299. Today, the stock of the company opened at Rs 314 on the Bombay Stock Exchange (BSE). The share price has seen a 52-week high of Rs 363 and a low of Rs 256 on BSE. Current EPS & P/E ratio stood at 12.29 and 25.62 respectively. Stock market analyst Hitesh Chotalia has maintained 'sell' rating on Cipla Ltd stock with target of Rs 330. According to analyst, the investors can sell the stock with stop loss of Rs 338. Today, the stock opened at Rs 336.50 on the Bombay Stock Exchange (BSE). Current EPS & P/E ratio stood at 12.29 and 27.42 respectively. The share price has seen a 52-week high of Rs 363 and a low of Rs 246.70 on BSE. Pharma giant Cipla has made an investment of $65 million to get hold of a 40% and 25% stake in two biotech firms. Stock market analyst Rajesh Jain of SMC Global has maintained 'buy' rating on Cipla Ltd stock above Rs 55.75 with target of Rs 370. According to analyst, the investors can hold the stock with stop loss below Rs 340. Mr. Jain also said that the investors can achieve the said target in 2-3 trading sessions. Today, the stock of the company opened at Rs 340.50 on the Bombay Stock Exchange (BSE). The share price has seen a 52-week high of Rs 363 and a low of Rs 246.70 on BSE. Current EPS & P/E ratio stood at 12.29 and 28.30 respectively. Technical Analyst Monal Desai of Prabhudas Lilladher has maintained 'buy' rating on Cipla Ltd stock to achieve an intraday target of Rs 375. According to analyst, the investors can attain the target in a period of 4-5 months. Today, the stock of the company opened at Rs 324 on the Bombay Stock Exchange (BSE). The share price has seen a 52-week high of Rs 363 and a low of Rs 220 on BSE. Current EPS & P/E ratio stood at 12.29 and 26.47 respectively. Cipla, on May 25, has established a wholly owned arm, named Cipla Singapore (P), in Singapore. Stock market analyst Rajesh Tambe of Sunchan Securities is of the view that investors can 'hold' Cipla Ltd stock. He said that Cipla is fundamentally very strong and one of the best bets in the pharmaceutical segment. Today, the stock opened at Rs 321.75 on the Bombay Stock Exchange (BSE). The share price has seen a 52-week high of Rs 363 and a low of Rs 218.25 on BSE. Current EPS & P/E ratio stood at 12.29 and 25.79 respectively. Cipla's Q4 net sales remained up by 6.66% at Rs 1,317.5 crore as compared to Rs 1,235.2 crore, year-on-year (YoY). Purchase of a company worth Rs 513.8 million, which has a high-tech formulations manufacturing plant at Sikkim with capacities to produce tabs, capsules, oral liquids, jabs, liquid and ointments. The company is entitled for a ten year tax holiday under the Income Tax Act, 1961 beginning from 2009-10. Pharmaceutical major Cipla on Tuesday said that it has sold the India rights of its i-pill business to Piramal Healthcare. Out of the deal, which was an all cash-transaction, the company managed to raise Rs. 95 crore. i-pill is one of the main brands in the emergency contraceptive segment and was launched by Cipla in 2007.
i-pill had total sales of Rs. 309 million in the last 12 months and is one of the top-300 pharmacy products in India. Pharmaceutical giant Cipla has registered a growth of 29.35% in its standalone net profit for the three month period ended December 2009. For the quarter ending on Dec 2009, net profit of the company stood at Rs 289 crore as compared to Rs 223 crore for the same quarter of 2008. Cipla’s net sales during the third quarter surged 6.32% to Rs 1358 crore as against Rs 1280 crore for the quarter ended December 2008. In its formulations sale in India, Cipla recorded an increase of 14% during the quarter to Rs 659.21 crore as against Rs 578.06 crore in the corresponding quarter last year. Stock market analysts have maintained 'buy' rating on Exide Industries Ltd with an intraday target of Rs 310. According to them, interested traders can purchase the stock above Rs 304 with a strict stop loss of Rs 300. If the bourses remain on the positive track, then the stock price will hit a target above Rs 315. Shares of the company, on Wednesday (Nov 11), closed at Rs 304.75 on the Bombay Stock Exchange (BSE). The share price has seen a 52-week high of Rs 302.50 and a low of Rs 162 on BSE. Current EPS & P/E ratio of the stock stood at 12.91 & 23.89 respectively. 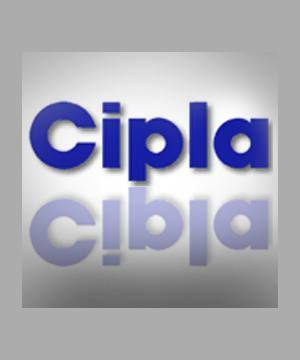 On August 17, 1935, Cipla was registered as a public limited company with an authorized capital of Rs 6 lakhs. Cipla was officially opened on September 22, 1937 when the first products were ready for the market. Exports contribute approximately 35% of net sales. A major portion of Cipla's exports is to the developed countries of Europe and US. Other major markets are Africa, Middle East, Asia and Australia. Pharmaceutical major Cipla has signed a long-term collaboration agreement with Meda AB, a Sweden-based specialty pharmaceutical company, to develop and market an anti-allergic rhinitis drug for various global markets. Under the arrangement, domestic pharmaceutical company will manufacture the drug, which will treat an ailment that causes a runny nose, while Meda will market the product in Europe, Japan, Brazil, South Korea and Australia. Pharmaceutical major Cipla will soon raise Rs 1,500 crore from international market through issue of securities. The company officials have informed that the shareholders have approved raising Rs 1,500 crore by issuing non-convertible debentures, Foreign Currency Convertible Bonds, American Depository Receipts and Global Depository Receipts. However, the proposal is subjected to necessary regulatory approvals. Hyderabad: Cipla Ltd will produce the primary three-in-one cocktail anti-AIDS medicine used for children. This accompanies the USFDA clearing a combining quantity of Boehringer Ingelheim’s Viramune, GlaxoSmithKline’s Epivir (or lamivudine) and Bristol-Myers Squibb’s Zerit (or stavudine), which are anti-retrovirals or drugs that fight back AIDS. The commendation came under the US President’s Emergency Plan for AIDS Relief, or Pepfar, a $15 billion, 5-year plan to clash the threat in over 15 countries.